This new me my elos review is about the new hair removal system for home use. For many years women and men had to choose, either to do IPL (intense pulse light) hair removal, or laser or RF (radio frequency). Each of the hair removal methods had its own benefits and downsides. The iluminage Touch is the upgraded version of the ‘Me’. 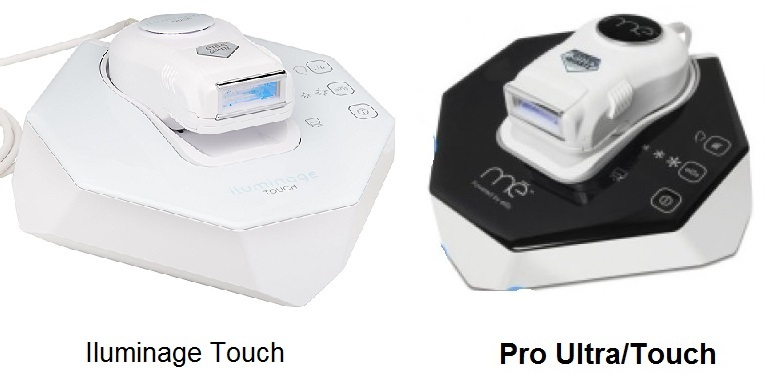 A new rising company, Syneron developed a fascinating new combined hair removal device, named mē! Before we even review the technological breakthrough and the huge benefits it brings to thousands of men and women, it is impossible to over look a simple fact that the mē.. is beautifully designed! Most of the patients achieve an average hair reduction of almost 90% after 4 treatments. 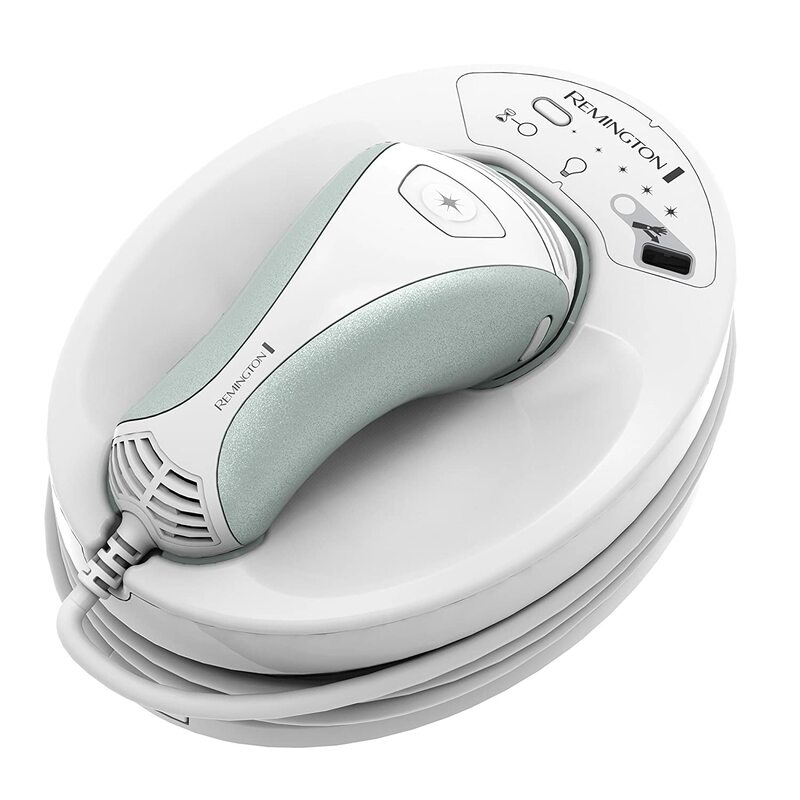 This remarkable clinical result and the safety and ease of use of the device – offer a new approach for treating unwanted hair at home. Everyone who knows something on hair removal procedures or searched other products reviews knows that there is short term removal (epilator, shaving, waxing) and long term hair removal treatments (laser, IPL, RF). The mē my elōs in our review has a genius hand set, the hand piece is combined with two permanent IPL light lamp and RF pulse creator, and has an extra changeable accessory place (sold separately) for Me Elos Shaver or Me Elos Epilator. So long term and short term hair removal can be done at once. How Does The ELOS Work? Dual mē my elōs technology review. A pulse of elōs (rf + ipl) is emitted for a fraction of a second, from the hand piece to the skin. The mē my elōs works by creating heat from two different sources, to destroy the hair follicle growth. The IPL energy is converted to thermal energy, heating up the hair shaft and the hair follicle. 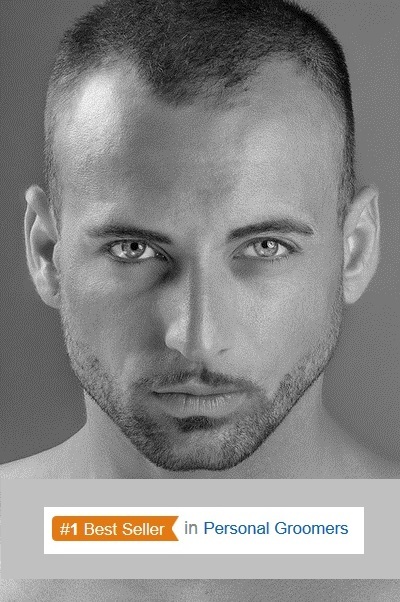 The RF energy is attracted to the pre-heated follicle, heating it further and treating it, inhibiting hair re-growth. Me my ELOS, is probably the BEST hair removal system for home use. The mē my elōs can be used by both men and women. It can be used by more people than the regular IPL systems as it can treat darker skin tones than competing hair removal systems. The mē my elōs suitable for the widest range of skin types (1 to 6) which include dark brown and black skin and ALL hair colors. This means now more people reading this mē my elōs review can enjoy a hair free body, people that where denied unlit now for safety reasons. People with olive skin color tones, Spanish tone, Middle Eastern, tanned people and more. The Pro Ultra version is approved for black & dark skin tones too! An important feature in this mē my elōs review is that the hair removal session is faster than you can ever imagine. Since there is no pulse needed to be re-charged there is no waiting. No long endless sessions for each body part. This is a major benifit for the mē my elōs hair removal user. When you buy home IPL system, each leg can be done for al least 30 minutes – while the Syneron mē my elōs hair removal system will do the entire leg in 10 minutes! The mē my elōs glides smoothly over the skin, both Me IPL + RF technology generate the pulses simultaneously covering larger skin surface easily. The mē my elōs hair removal System is removing hair faster than any competing system! There is no need to move hair by hair like with similar laser systems heating the hairs one by one.. With the mē my elōs hair removal you remove full body in 32 minutes, full leg in 10 minutes. If you ever tried laser hair removal, or read reviews you probably know how much hassle there is with that method. You need to pre-shave, get the hair ready for treatment two days in advance, not tan before, and stay away from the sun weeks later.. Because of the heat generated by laser or IPL, creams and cooling gels are sometimes needed. So Sessions become more messy, longer, over scheduled headache. In our review this may be the no’ 1 reason why people fail to follow full treatment plans.. it is just too much hassle. The mē my elōs hair removal System when used with the epilator add on is the ONLY no preparations no pre-shaving, no gels system. No need to calculate your position, wait for next pulse, draw grids, watch for overlaps, or concentrate… Just smoothly glide and enjoy. The mē my elōs review this as the best feature. The mē my elōs hair removal is the safest and fastest way to permanently smooth beautiful skin. Permanent hair reduction results (89% hair reduction after 4 treatments) can be achieved if you follow the scheduled treatment plan. Using the mē my elōs hair removal takes less treatments than compared laser or IPL treatments to complete the full body hair removal process. You need just 4 treatments, with intervals of 2 weeks between them. Note that this mē my elōs review knows people and skin types and hair type and grow cycles differ from person to person, so in some cases, more than 4 treatments may be required. Women and men seeking hair removal solutions are prepared to invest money time, pain and effort to get rid of hair from legs, arms, bikini line, back, chest, underarms and abdominal. Laser sessions are extremely expensive. Electrolysis can take ages for full body hair removal. Home laser or IPL systems even though cost less than the mē my elōs system, are a great mess and need months of repeated treatments. The ELOS is a superior technology which was only used at professional centers until the ‘Me’ was released. 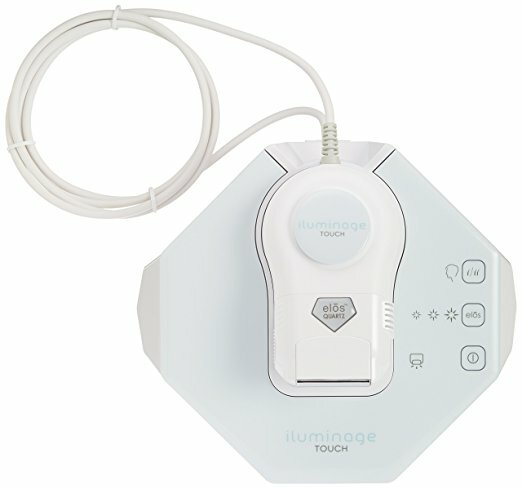 Now customers can do ELOS hair removal with the iLuminage Touch at home! This entry was posted in Home Removal Systems, Me my Elos Hair Removal and tagged HoMedics Me my Elos, Homedics ME Pro Ultra, me my Elos hair removal, Me my ELOS Hair Remover, me my elos IPL, Me My Elos Syneron, memyelos, Syneron IPL+RF System Reviewed by . Bookmark the permalink.